We are the Burbank Home Team. Awarded 2016 Burbank Association of Realtors®, Realtor of the Year! Previous Awards include 2015- Winner's Circle; Sales Partner of the Year-Burbank; Award of Merit for Outstanding Production and Platinum Advantage winner for client satisfaction. 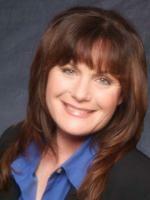 In addition, Daina's past awards include - 2014 Best of Trulia Top Agent Award based on sales and customer reviews. Thank you to all of my clients who wrote a review. I appreciate all of you! 2014 Award of Merit for Outstanding Production and 2014 Premier Service Award Winner. 2013 Sales Partner of the Year and the 2013 Premier Service Award! Awarded for highest individual sales and outstanding customer service. I would like to thank all of my clients who hired me to represent them in the sale or purchase of their home. I would also like to thank you all for returning the Platinum Advantage Questionnaires and giving me the highest rankings and wonderful customer comments. Here you will find everything for your one-stop source for real estate services. We cover Burbank, Glendale, San Fernando Valley, San Gabriel Valley, Los Angeles and surrounding areas. You will also find everything you'll need to buy or sell a home as well as information that will educate you on your decision. It is my goal to provide you with superior service at all times. If you are having a hard time making your mortgage payments and want to know about Short Sales, we can help. Thank you and I look forward to hearing from you soon at 818-239-9599 or dainaburness@gmail.com. You can also go to our Facebook Page by clicking the Facebook icon below.